OB: IMPORT/EXPORT YOUR PEACHTREE DATA - FULLY AUTOMATED NOW! 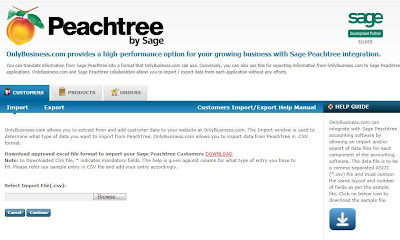 IMPORT/EXPORT YOUR PEACHTREE DATA - FULLY AUTOMATED NOW! 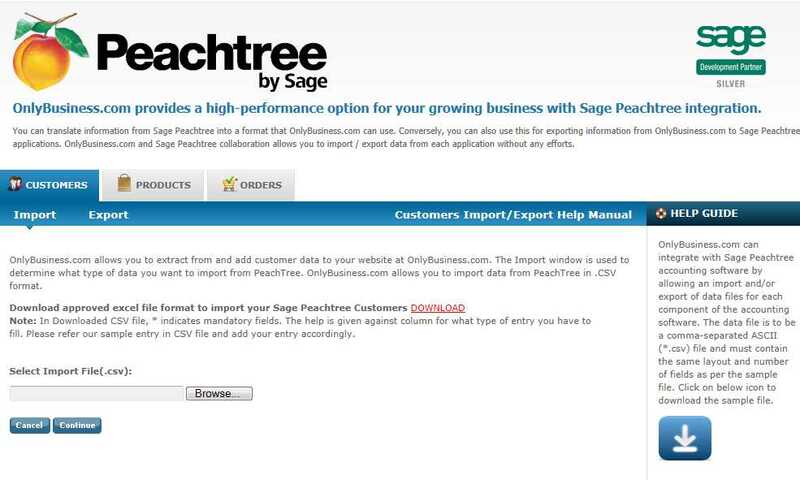 We've had many requests to allow the popular Peachtree accountant software to be imported/exported in the Shopping Cart. Well, we've now added that functionality! You can now import/export Customers, Products and Orders to and from their Shopping Cart. No more tedious entering of data from one system to another, you can now automate this entire process!